A faithful recreation of the highly sought after fuzz of this legendary '70s masterpiece. 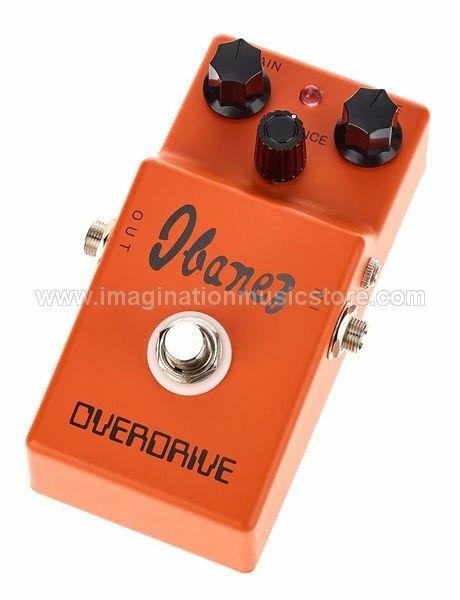 Originally released in the mid-1970s, the Ibanez OD850 Overdrive is ironically, not an overdrive at all. Designed in the spirit of the full, fat fuzz tones that had soared in popularity at the dawn of the '70s, this esoteric effect has earned a strong reputation over the years and has become a high-priced collectors item. The 2016 Japanese-built OD850 reissue faithfully recreates this vintage fuzz with amazing accuracy. Revered back in the day for its sweet upper-end and organic tone, the pedal produces an aural illusion that almost feels three-dimensional. A simple three-knob design gives the user complete control to create a full range of vintage fuzz voices: Sustain controls gain—from mild to pure saturation; Balance controls level output; and Tone sweeps through a full range of eq— from a fat, round muff, to sweet, focused highs. Overall, the OD850 has an extremely musical, earthy character, without the exaggerated mid-range scoop often found in similar effects of the era. Players will appreciate the uncommon usability of this extremely musical effect. The 100% analog OD850 Overdrive comes in an authentic replica of its original packaging, includes a 3.5mm (1/8”) adapter for compatibility with modern power supplies, and features true-bypass switching.